The early years of Don’s Truck Sales (aka Don’s Auto Sales), as cars stood at the forefront of our business. The transition to trucks started in the late sixties. In addition to the main building, a frame and equipment shop was started. 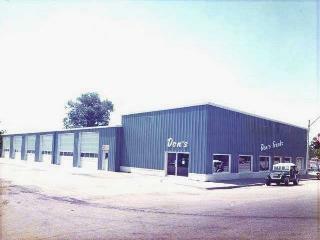 In 1974, Don’s Truck Sales was transformed to a shop to accommodate trucks as the staple of our business. 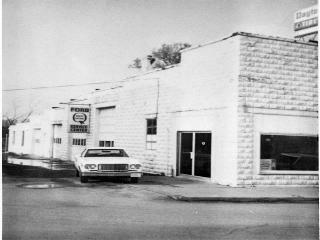 In 1978, the shop doubled in size, along with changes in the Parts Department and offices. The year 1989 brought major changes to the Equipment Shop, which gained the nickname ‘The Mod Shop’, tripling in size. During the mid 90’s, the Equipment Shop gained additional warehouse space. In 1998, warehouse space was added to the main building site, plus the size of the business offices doubled. Don’s Truck Sales has two sites with Parts, Sales, and Service capabilities along with two separate warehouses to serve our clients quickly.